I've been interrupting the regular stream of Dungeons & Dragons posts this year to bring more Cthulhu blogging, and my first big project has been to step through campaign structures and different approaches to launching campaigns. I'm particularly interested in exploring ways to run investigative sandboxes to enable the kind of free-form, sandbox style I enjoy so much in D&D. If you're wanting to run a weird horror D&D game in a mundane or historical world, these posts should offer ideas for that as well, since there's a lot of overlap with games like Cthulhu Dark Ages or Cthulhu Invictus. Last week's entry, Points of Darkness for Horror Gaming, contrasted a horror setting with the typical D&D fantasy approach (points of light). It emphasized the importance of plot hooks for engaging the characters; I further separate plot hook approaches into "passive" or "active". Passive plot hooks are related to the back story of the characters before the adventure: "You are all gathered together as friends of Important NPC™ Jackson Elias." Or, "You receive a letter from your old friend, Henry Hancock, the African explorer, asking you to come to Scotland and help him at his current dig site…" I have issues with the passive plot hook approach. They trade on some pre-existing emotional connection between the player characters and the NPC. While I expect players to buy into the general premise of the game, I don’t like having to tell them to feel a certain way towards an NPC so they have the right emotional resonance with the scenario. That's not very old school. The second issue with passive plot hooks is that once the scenario is initiated, there's no longer a credible reason for replacement characters. One of the in-jokes in COC gaming involves a party narrowly escaping a TPK, needing replacement party members, and recruiting the waiter, the store clerk, the taxi driver - you get the idea. Here's one caveat; while I dislike the passive plot hook approach for a campaign game, I recognize that it works well for one-shots and convention games; the Keeper can distribute pre-generated characters with appropriate backgrounds and push the game right onto the tracks. This isn't a new problem. 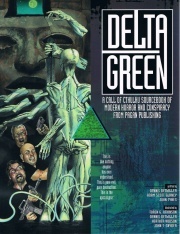 There was an 80's publication that took a tongue-in-cheek approach to an organized group of Mythos busters (The Field Manual of the Theron Marks Society) but it wasn't until Pagan Publishing's Delta Green (1997) that a campaign setting outlining a comprehensive framework for investigations altered the face of Cthulhu gaming. I consider myself an old timer, so I'll trace the evolution of these frameworks from Delta Green through the latest books I've seen published. You might ask, what's the big deal? Important characteristics of the investigative frameworks are that they provide built in objectives for the game, as well as solving the problem of credible replacement characters and campaign continuity. The campaign now transcends the player character party and a TPK is no longer fatal. The casual dramatists and authors in the group can still write their detailed character back stories, but the frameworks make it easier for everyone else to make their 15 minute character and start rolling the dice. Delta Green is a (fictional) conspiracy within the United States government, to investigate and stop Mythos activities, and keep the existence of the Mythos horrors secret. Players take on the roles of cross-departmental government agents who manage to use official cover, appropriations, and false orders to get involved with investigations that have alien or supernatural elements. One guy could be in the ATF, someone else in the FBI, and so on. It tends to feel a bit like The X-Files, badges and guns, with more hardware and spy tech (since it's an underground conspiracy communicating through back channels). The most interesting part of the Delta Green setting is how other corrupt organizations have learned of the existence of Mythos magic, kept it secret, and attempted to wrest power from the supernatural by weaponizing the Mythos. It always goes horribly wrong. The signature opponents in Delta Green include various inhuman Nazis that have extended their lives unnaturally, and the Majestic 12 group (formed after the Roswell incident) which has been benefiting from alien biotech while turning a blind eye to alien abductions. Don't get me wrong, the opponents in Delta Green are not like the pulp Nazi sorcerers you see in a Mignola Hellboy comic; the situations in the Delta Green books tend to be fairly dark; they're smart, slick, and mature. Delta Green captures that pre-millennial conspiracy angst from shows like The X-Files or Millenium. The books are hard to get, but I hear PDF versions are nearing release at the usual places, and an updated version of the setting for the post-911 "war on terror" world is underway as well. I wasn't a fan of the d20 level-based approach to COC, but the d20 book itself was still chock full of useful campaign advice for Call of Cthulhu; John Tynes, one of the driving forces behind Delta Green, had taken his skills to WOTC during this time and worked on the d20 Cthulhu book. 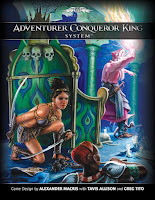 The d20 book recommends the use of a tentpole NPC - a powerful figure behind the scenes that ensures continuity for the investigation - or the creation of an organization. It goes on to describe Cthulhu setting genres and sample organizations for each one, such as Lovecraft Country, Hometown Horrors, Private Investigators, Badges and Secrets, Esoteric Orders, and Global Hot Spots. (Delta Green even makes a cameo). The other thing I really liked in the d20 book was that it took each of the genres and looked at how it might change for different time periods, and included good movies or TV shows to help set the mood. Good stuff all around. Last week I did a review of Trail of Cthulhu; Trail provided three detailed campaign frames, two of which have been further developed in later books. The first one, the Armitage Inquiry, assumes the various professors of Miskatonic University, having previous Mythos encounters (as detailed in some Lovecraft stories), recruit like-minded individuals from the faculty and student body to explore and document Mythos occurrences. The second frame, Project Covenant, suggests the Naval officers, involved in destroying the Deep One colony at the end of The Shadow Over Innsmouth story, form a secretive investigative arm of the government - similar to a 1930's version of Delta Green, but with actual government backing. The final suggestion is Bookhounds of London, which puts the players in the role of book merchants collecting and selling rare and highly sought volumes (and frequently encountering the mad occultists seeking said books for all the wrong reasons). It reminds me quite a bit of the excellent novel, The Club Dumas. I don't have The Laundry yet. It's a BRP system like COC, based on a series of books by Charles Stross (The Atrocity Files), that details a secret British agency known as The Laundry. The Laundry is tasked with keeping the world safe from occult horrors. My perception is that it mixes quite a bit of office-culture and Information Technology humor juxtaposed against high-tech Mythos investigations in a world where computers have made monster summoning a not uncommon affair. I'm not sure how the black humor would work out in game play, but I'll keep my eyes open for getting a copy and plan on reading The Atrocity Files at some point. Although I'm a purist at heart, I'm sure my group of regular players, all tech geeks, would probably find this approach entertaining. This discussion waxes long! 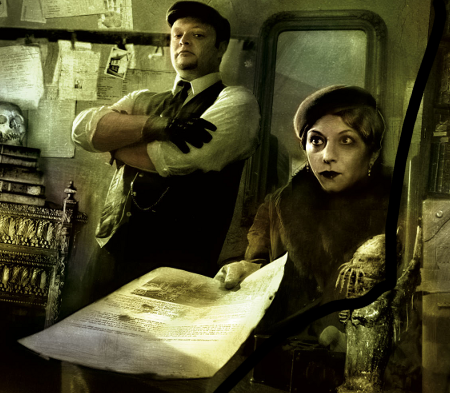 Providing a framework for ongoing investigations has become de rigeur in the Chaosium licensees making modern Cthulhu games. There is an alternative to a structured organization, mentioned briefly above, it is the idea of using a "tentpole NPC" to anchor a campaign; I'll visit that one shortly. Then we'll return to campaign development, perhaps looking at structuring investigations, and what makes for a good one. Ciao! For good inspiration on how to run an investigation (particularly a horror-themed one), the new Dark Heresy splat, Book of Judgement, has an entire section dedicated to doing just that. It's fairly thourough, and, while I don't agree with all of its points, it's certainly a good shout for inspiration. Great overview. I love the Delta Green stuff mainly just for the ideas. Another good Bookhounds of London inspiration besides Club Dumas (and it's less interesting movie version The Ninth Gate) would be the excellent Lovecraftian episode of Masters of Horror, "Cigarette Burns" by John Carpenter which is about rare film collecting. That was a creepy show! I really enjoyed Cigarette Burns; there's an interesting theme in Mythos horror about the corrupting nature of knowledge, that you see in pieces like Cigarette Burns, The Ring, Pontypool, and the way the Hastur Mythos has evolved (and DG explores that theme too). I hadn't even considered Cigarette Burns as a Bookhounds source, but it fits really well. The problem of 'the campaign' in CoC is something that has always put me off running anything other than one shots. In fantasy and sci-fi RPGs the PCs can have all kinds of ambitions and goals, and the nature of these worlds (and universes) is that the pursuit of these goals can be accommodated in interesting, adventure-some ways. In CoC, it's all about the Mythos. If a character wants to become a sea captain, for example, in CoC the Mythos must intrude. In Traveler or D&D, the sources of adventure are much broader. My problem with RPGs that involve the PCs being members of some form of organisation is that of hierarchy - being ordered to do things by 'Charlie' involves no more player agency than being told by a GM that their character feels a certain way about NPC X. Of course, the players could refuse the order, but, unless they're off to tackle the Mythos on their own, then the game either turns into Industrial Disputes the RPG, or the Game of Life the Storygame. Isn't complaining about the Mythos intruding in CoC a bit like joining an old school D&D game and complaining that everything seems to come down to dungeon crawls? Fighting Mythos horrors is rather the point. By choosing to play the game, players are basically saying, "bring on the tentacle monsters!" That said, it isn't all Mythos all the time. Gangsters, bootleggers, political conspiracies, and plain old human psychos also feature in most CoC games. No, I'm not complaining about the Mythos... after all, *they* might hear me. I'm just arguing that a game such as CoC isn't that suited to a sandbox campaign. A game built around the players being members of an organization is not a sandbox, unless, perhaps, the players *are* the organization, removing the 'boss sends you here' problem, *and* if the information being fed to the organization, and hence the players, provides options for real player choice of action. The latter is hard work in a game such as CoC in which mystery, clues, and suspense are key. The Keeper ought have a good feel for how the onionskin might peel away for all the adventure hooks he feeds the players, which is a lot to retain and manage. 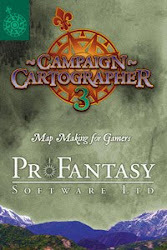 By contrast, in even a more thoughtful fantasy sandbox campaign (keep it BRP and let's say we're using RQ), a GM can handle true player agency by improvisation, a crib sheet with NPC motivations, random tables, stock maps, etc. Mystery, clues, and suspense - the slow peeling of the onionskin - might be important elements of some adventures in a fantasy sandbox, but if the players decide to do something out of the blue, it can become an adventure, improvised on the fly or by using stock elements (or a little of both). But I agree that by choosing to play CoC the players are basically saying, "bring on the tentacle monsters!" But they shouldn't expect a sandbox, the player agency comes within an adventure. The adventure might last for a great number of play sessions, with different episodes that can be tackled in different orders, or revisited (Masks...), but they can't, in the middle of a 'campaign', send you a message that they've decided that they're getting bored with uncovering the mystery and instead their PCs are going to become bank robbers, or topple a kingdom, and so you should prepare appropriately. Well, they can, but it isn't CoC then, it is BRP modern gaming with Cthulhu lurking. Dreaming. DrBargle, I don't disagree with your concerns. The campaign structure needs to allow for freedom of choice amongst plot hooks, and when the characters begin to follow up on a lead, the adventure structure must provide them a high degree of latitude in the approach they take to unravel the mystery. Investigative scenarios are essentially dungeons without walls. This is why I started with points of darkness vs points of light; the only element that's missing from what we traditionally think of as a sandbox structure is the local hex crawl. But instead of hex crawling across the barony, the group takes the bus to Innsmouth, or the train down to Boston. I was/am going to get there eventually with these methodical posts, but I'm glad folks are reading and poking at them a bit. Thanks! I will read on with interest. I have a cupboard full of Cthulhu that needs bringing back onto the table. Beedo, I'm eager to read more about how you'd use sandbox techniques with Call of Cthulhu, and horror in general. It's always seemed to me that two of the main themes in horror are ignorance and helplessness, which seem to contradict sandbox values like informed decision making and freedom of choice. In practice I find ignorance and helplessness are major themes of the sandbox, especially if you start as 1st level barbarians fresh off the boat: informed decision-making comes only after a lot of dangerous groping around - and playing some CoC campaigns (Masks) I've also had those moments where you suddenly know what to do or get validation for things you already did and suddenly you can swing into Indiana Jones mode (however briefly). So I sometimes wonder how different the two approaches really are. DrBargle, I completely agree that an organization with top-down directives as 'plot hooks' is pretty much a rail road. (Note: I've seen arguments that rail roading is only when there's a foregone conclusion during the adventure, not necessarily at initiation, but that seems to me splitting hairs). What's necessary is some freedom of choice. That being said, players need to accept the basic premise of the campaign, too (Uncle Dark's point). If they're all members of the Miskatonic faculty, and at the faculty meeting they view a presentation on the various weird things going on in nearby "Lovecraft Country", it's kind of expected the group would take an interest in one or more of them as potential investigations. As opposed to say, choosing to go to NYC and become Wall Street Bankers. Beedo, between your massively thoughtful posts on my favorite game and posting my own reminiscing about my past Cthulhu campaigns has me seriously jonesing to run some Cthulhu again. I think that'll be my next campaign after my current Pathfinder game wraps. Yep, I'm looking forward to reading The Atrocity Files, thanks for the extra recommendation. @Bill: yeah, I need to get my players to commit to some Cthulhu gaming for the near future, that'll keep me settled down for the near term. Thanks for the Ken Hite link, I'm looking forward to reading it. Looking forward to reading more about your views on sandboxing Cthulhu and campaign frameworks. First, great writeup of prior art - I haven't read The Laundry but from what I've heard it sounds like it's very British, in that there's no money and the scale is much smaller: DG exists because the fat in the system and the gaps between FDR's alphabetical agencies effectively encourage conspiracies, while The Laundry has to operate strictly as a spare time thing? So the institutional approach has dominated at least since DG (and I, being a visionary of course, was already playing Bond/Cthulhu back in the 80s...), and I wonder how much the tentpole NPC differs from it in practice, if that NPC is a patron (if they're George Smiley maybe not much, if they're Doctor Who maybe a lot). What about a nemesis tentpole NPC? Someone who people team up against? And what about an environmental approach? That still seems rare - that is, horrors are known in your environment and everyone must deal with them (seems to work for Carcosa, maybe other dreamlands games, or Alien/trav mashups). Is such an approach no longer CoC - is the element of secrecy indispensable? I suspect it works much like Warhammer Fantasy Roleplay. 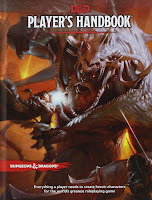 Pagan are going to do a Pathfinder and release the new Delta Green not only as an updated sourcebook but as a standalone rpg -- based on the Chaosium system, via the OGL -- in its own right. I still have never read the d20 Call of Cthulhu, but for my modern-day campaign I did something similar to their tentpole NPC approach. I had the player-characters employees of a supernatural investigation company owned by a famous but eccentric rock star who was not at all based on David Bowie in any sense whatsoever. One scenario had the players tracking down a film version of The King in Yellow; it was, er, influenced to a certain extent by Carpenter's Cigarette Burns. The campaign didn't really work out because I suspect the players wanted a bit more direction than thee structure gave them. That said, the same group of players are now running through Tatters of the King, which is a terrible railroad of a campaign, and have gone right off the rails.